Many physical therapists are frustrated right now. They feel that at one end, the medical establishment is referring less, criticizing the profession for lacking efficacy and having only “low-value” effectiveness. From the other side, we are “getting our assess kicked” by the targeted and effective advertising strategies of alternative medicine providers. People are either going home without our services or going elsewhere for the services that we believe should be provided by a physical therapist. We need to take things into our own hands! We need to promote what we do! We need to define our brand to the community and let them know that we are a great option for them! We need to quit losing market share to alternative medicine providers like chiropractors and acupuncturists! We need to promote our profession and convince the public that a physical therapist can help them! Am I close? Do I understand where you are coming from? Who are we as a profession? First, as a profession we need to ask ourselves who we are. Let’s think of this as asking, “What ID card do you carry?” Falling under the very large health services umbrella, there are two cards that your profession can carry: Medical Professional or Consumer Service. You can’t play both cards…we’ll get to that. The first thing we need to establish here is whether or not we are “medically necessary”. This matters because this is what defines us as being worthy of coverage by 3rd party payers. The quickest way to lose that is to embrace the position of being medically unnecessary. Now, you may feel that, as a whole, we are more of a consumer service. The only person who matters is the client right in front of you. Your sole mission is to make that client happy and satisfied. You also likely believe that the market will dictate your value. From this view, “losing market share” is a very valid concern. If we are a medically necessary service, however, it means that we answer to more than just the consumer in front of us. Our services are paid for not just by the individual in front of us, but by the community as a whole. Either through government funding or payment from the health insurance industry whose premiums place a significant burden on employers and taxpayers, the costs of our services and impact of our actions reaches far and wide; but not just from a financial perspective. There are other societal costs as well. Back in 1847, the first code of ethics was released by the American Medical Association. You can still read it today. The original code of ethics explicitly forbade ALL advertising as unethical. The purpose of this was to differentiate the profession from snake oil salesmen. 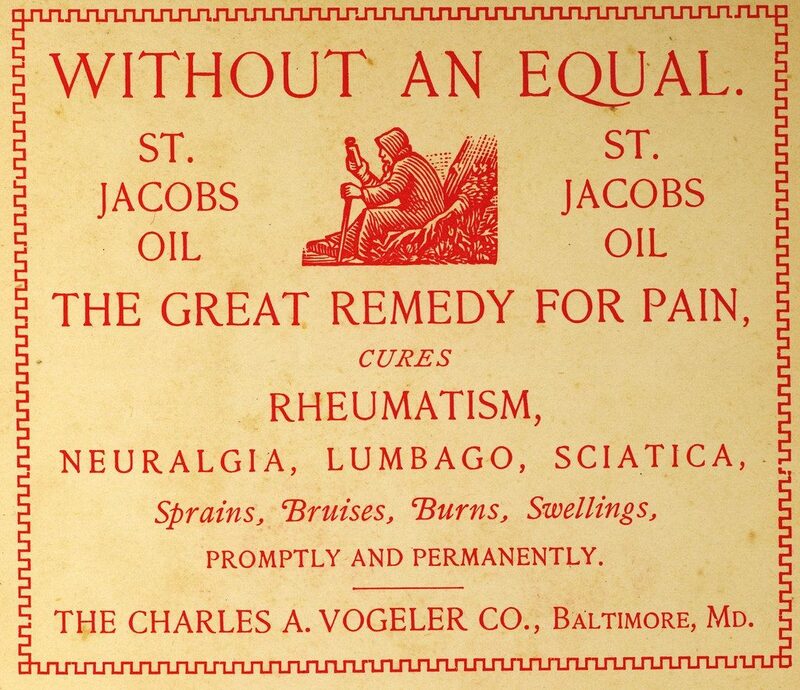 Advertising left too much open to interpretation, meaning that the likelihood of misrepresentation and misleading the public was too high for this noble, altruistic endeavor called medicine. Yeah, I don’t totally agree with that either. So let’s jump ahead 133 years. Appropriate forms of communication: The medium must allow for complete, objectively true explanations. Sound bites, billboards, bus ads, etc are discouraged since they lend themselves to misleading and vague statements. Objectively true, inarguable statements: The most common examples of this would be the provider’s name, certification, services they provide, pricing structure, and contact info. No claims promising results: Most medical results are uncertain so claims like “We’ll make your knee feel better,” are considered misleading and therefore unethical. Most testimonials are also discouraged since they imply guaranteed results. A testimonial like “I appreciate that every patient gets 30 minutes with the therapist” is fine if that is objectively true. No use of superlatives: Can’t use terms like “best”, “world-famous”, “pioneer”, etc because they are considered misleading and designed to attract vulnerable patients (I’ll discuss that later). No disparaging other providers: Stating that your profession is “the best” (see above) at something implies that the other professions are inadequate for that service. This is unethical unless you have objective, inarguable evidence to support such a claim. You actually don’t know what is best for a patient that you have not evaluated. You also can’t say that you are a better physical therapist than another. Other stuff: There are also other limitations that are self-evident like being a paid spokesperson, using actors to represent patients, use of an agency for traditional advertising campaigns that typically exaggerate the truth, being discriminatory against specific groups in your advertising, etc. The Code of Ethics for American Physical Therapy Association (APTA) is disappointingly vague as an entire document when compared to many other medical professions. There is talk in there about being truthful, accurate, and not misleading in statements to the public (4A). There is also overarching talk about “integrity”. Again, disappointingly vague. And before you say, “AHA! I can interpret that vagueness however I want!” remember that ignoring ethical standards on the position of a technicality of interpretation is not generally considered the best display of integrity nor a good argument for self-regulation. Why are medical providers so restricted? First, the only group whose advertising is LEGALLY regulated is the pharmaceutical industry (allowed to advertise in the United States directly to consumer since 1997 under strict guidelines which many feel is just a bad idea). The rest of the industry is ETHICALLY regulated meaning that they won’t go to jail or receive a government fine, but can result in a loss of license for what is considered unethical practice. The main reason for the guidelines is to keep uninformed persons from entering the healthcare system and request services that may not be appropriate, increasing the overall burden on the healthcare system. Let’s explore how that works DIFFERENTLY than in other forms of advertising. That’s a big sounding phrase. This has to do with the extreme imbalance of knowledge between the provider and the patient. Such imbalances create limitations on the patient from the perspective of their understanding of needs, evaluation of quality, and assessment of price. Let’s say that I need a new phone for work. I know that I need a phone that is light, fits in my pocket, gets email from my work account, and can play Candy Crush (don’t judge). I understand my needs for the product that I am seeking – it doesn’t take specialized education. Now I can head down to the store and evaluate the specifics of the different available phones: processor speed, display resolution, physical size, email compatibility, Candy Crush reaction time, etc. In most cases I can try before I buy this product. Finally, I will consider the price of one phone to another which will have a huge effect on my choice since I am shopping with my own money. Now let’s say that I have some back pain. Can I, as a non-medical consumer, decide what services, if any, are MEDICALLY necessary? Could I easily misunderstand the efficacy of those treatments? I know I liked the treatment and my back pain got better, but was it BECAUSE of the treatment? Was it worth the cost to the entire healthcare system and society as a whole for me to get that care? Is seeking medical care in the first place actually INCREASING my risk profile? It is unfair and unreasonable to ask individual members of the general public to contextualize the nuance of all of those questions from a population level. Also remember who is paying the bills of these medical services. Not the consumer alone if at all. To the individual consumer, often the cost is the same to them whether or not the cost is the same to the actual payer. In other words, the market effect of cost is removed. Another concern is that, because of the brevity required in most advertising, attempts to provide all of this nuance in a sound bite leads to a very high likelihood for statements to ultimately be misinterpreted and misleading. The ethical position is to leave this out entirely and only make objective, inarguable statements. Many people who have a potential medical concern can become anxious about the uncertainty of their situation. This makes them very susceptible to fear mongering – using fear to motivate action. This is very effective from a marketing perspective. Not so good from a public health perspective. For example, telling someone that their “creaky knee” could be the sign of something that needs to be treated is a very bad way to keep unnecessary patients out of the healthcare system. Look buddy, it doesn’t matter what you are TRYING to do. It matters what you are ACTUALLY doing. And you are actually fear mongering. When you are using it to expand the markets for your treatment, it’s called disease mongering. *For a more in depth look at all of these concerns, read this article from The American Journal of Bioethics. It is the obligation of healthcare providers to promote public health. Those promotions are focused on overall wellness of the population as a whole, utilizing unskilled interventions typically through public education. They are from the perspective of reducing the burden on the healthcare system for things that can be self-managed. In general, they are attempts to keep unnecessary patients OUT of the system. They are not pleas to enter the healthcare system to receive an unnecessary assessment, to set a patient’s mind at ease, or to establish a brand. They are also not attempts to promote one profession over another. As an example of how to do this in an ethical manner, let’s look at the work that Mary O’Keeffe and her colleagues Kieran O’Sullivan and Chris Maher have done for public education about acute low back pain. The research is clear that acute low back pain is a self-limiting issue, yet common misconceptions by the general public keeps driving these cases into the healthcare system. Some players in the healthcare system inappropriately and (hopefully) unintentionally medicalize these patients, making their situation worse and raising the cost to society as a whole. Their public outreach work highlights the benign nature of acute low back pain and how it can be easily identified and managed without ever seeing a healthcare provider. What it does not do is tell people, “Just come on down to a physical therapist, the most awesome person to address this, so we can tell you what’s what.” At most, it advises those who are still concerned to “speak to your health professional”. For such efforts to be effective, this message must be reinforced with ALL healthcare entry points and they must know how to, if necessary, refer those with medical necessity to the appropriate provider. Be that entry point a physician, on call nurse, or physical therapist, it doesn’t matter. We are all part of the same team with the same goal – public health. Ok. Have you considered this counter-argument? I know, that doesn’t really sell anything. It doesn’t encourage action by the target population to rush to see a physical therapist. Exactly. Now you’re getting it. That’s what makes it ethical. Here is your chance to shine! When marketing directly to other healthcare providers you can let ‘er rip! Tell them how great you are and how all the musculoskeletal patients should be driven your way and how we as an entire healthcare system should encourage those patients to bypass the physician and come straight to a physical therapist. (SIDE NOTE: It also means that you can market your courses, your blog, your newsletter, etc to other providers all you want.) Now why is that ethical but direct to consumer marketing of the same nature not? No. They get it. It’s just that, unlike the general public, they demand more than stories about people getting better or overreaching interpretations of poorly conducted studies. They demand sound evidence. They understand correlation and causation. They can see a lack of accounting for placebo. They can see the risk for over-medicalization and increased burden on the healthcare system. And if you cannot – then you come off as ignorantly dangerous at best, a blindly self-promotional snake oil salesman at worst. Thanks for “promoting the profession”. There is a table where healthcare policy decision makers sit. Everyone sitting at that table has pledged an oath to serve society as a whole; Everyone sitting at that table plays by the rules of science and speaks in the language of epidemiology and population wide cost-benefit analyses. They all understand that sometimes what is best for their profession may not be what is best for society as a whole. And vice versa. Society trumps profession – Every. Damn. Time. Because of all of these ethical constraints, everyone sitting at that table has the privilege to be deemed “medically necessary” and their services are covered by all 3rd party payers (private and government). They all hold a “Medical Provider” card. Being at this table requires abiding by the constraints of medical ethics. Now let’s look under the table where all of the scraps fall. Here are all of the card-carrying “Consumer Service” providers fighting over the low-value healthcare that the medical providers have let drop to the floor. Down there is the fight for who can use modalities. Down there is the fight for who can dry needle. Down there are the providers who peddle their wares to the general public, trying to “secure market share” from each other. Down there they are no more limited in their advertising campaigns than a used-car salesman or Nike. They are blindly promoting their individual trades, convincing themselves that they are doing what is in the best interest of their patients through motivated reasoning. They tell themselves that they don’t need the 3rd party payer but instead compete for straight cash from their patients, regulated by the whims of the market. But they have neither a “Medical Provider” card nor a seat at the table. Currently, physical therapists have a seat at the table. Remember, in order to sit at that table, we have certain understood ethical constraints whether self-imposed or not. When we start violating those constraints in the name of self-promotion instead of promoting public health as a whole, we say to everyone else at that table, “I don’t have to play by your rules! I want the freedom that they have down there under the table!” And guess what they’ll say? Instead of promoting your profession, you may be killing it. What kind of profession are we? Do the same ethics that apply to other medical professionals simply not apply to us? If not, then why not exactly? Do we owe it to society to consider the larger effects of our interactions with the public? Do we want a seat at the healthcare policy decision table or fighting for scraps on our own? The featured image on this post is “st jacobs oil” by Tim & Selena Middleton via Flicker.